Late in 1766, Haswell brought Susanna, then almost five years old, through a perilous sea voyage to the American colonies. On the night of January 28, 1767, their ship ran aground on Lovells Island in Boston harbor, but fortunately held together until the crew and passengers were rescued the next morning. They lived at Hull, Massachusetts, where family friend James Otis took a special interest in Susanna’s education. Lieutenant Haswell had remarried to Rachel Woodward, and soon young Susanna had several half-siblings. Susanna was apparently educated at home, and the family lived comfortably until the American Revolution. 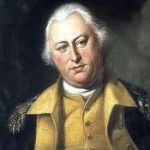 Early in the Revolutionary War Lieutenant Haswell stubbornly remained loyal to England and was placed under house arrest. He was later removed with his family to Hingham, his property was confiscated, and they lived on the charity of the town. 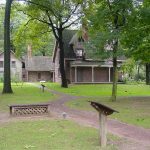 Suspected of aiding the enemy, Haswell and his family were moved to Abington late in 1777, and in the spring of 1778 they were deported to England, where they lived on the lieutenant’s meager half pay. The family lived in relative poverty until Susanna found work as a governess to the children of the Duchess of Devonshire. While working as a governess Susanna began writing poetry, short stories and novels. In 1786, with the Duchess of Devonshire as her patron, she published her first novel Victoria. The Duchess subsequently introduced Susanna to the Prince of Wales, who liked her so much that he gave her father a pension. In the same year, at the age of twenty-four, Susanna married William Rowson, a trumpeter in the Royal Horse Guards and a hardware merchant whose heavy drinking made it difficult for him to hold a job. William declared bankruptcy in 1792, and the couple turned to the theater to support themselves. 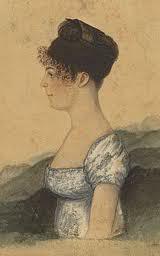 Susanna also continued to write, publishing her long poem, A Trip to Parnassus (1788) and five new novels in rapid succession. The Rowsons toured in Great Britain and were performing in Edinburgh in the winter of 1792-93 when Thomas Wignell from the Chestnut Street Theater of Philadelphia saw them and signed them with his theater company. In 1793 the company went to the United States, where they opened at Annapolis, Maryland, and performed in various places during the next two seasons. As a character actress in a troupe of well-known performers and musicians, Susanna also completed her first play before the year was out. With music by America’s leading contemporary composer, Alexander Reinagle, Rowson’s Slaves in Algiers, or A Struggle for Freedom (1794) was an immediate hit. Her song “America, Commerce and Freedom,” in celebration of her adopted country, was especially popular. Over the next three years she wrote a novel, an opera, a musical farce about the Whiskey Rebellion (The Volunteers), a poetical address to the American troops, and several songs for the company in addition to performing 57 roles on the stage in two seasons. Susanna Rowson also contributed to the family’s finances in 1794 by publishing Charlotte Temple: A Tale of Truth, a novel she had originally published in England in 1791. The story struck a chord with American audiences, and it became the first best-selling novel in the United States, and biggest seller in our nation’s history until Harriet Beecher Stowe published Uncle Tom’s Cabin in 1852. Though novel-reading was regarded as a questionable activity at that time, the author took every possible occasion to drive home a moral point: Charlotte Temple, a naive English girl, unwisely elopes to America with a dashing soldier who promises to marry her, is eventually forsaken by him, suffers both physical and mental anguish, and dies after bearing his child. Although the tale is a rather formulaic example of a seduction novel – a genre popular in early American literature – Charlotte Temple touched its American readers profoundly. Many readers were so moved by Rowson’s story that they refused to view it as a work of fiction. Thousands made pilgrimages to visit a gravestone in New York’s Trinity Churchyard that was rumored to be Charlotte Temple’s burial place. As literary critics have noted, the book’s power lies in its accessibility and appeal to a broad spectrum of readers. Scholars have discovered that Charlotte Temple was owned by men and women and by both wealthy and poor Americans. It has been estimated that the book went through over 200 editions and was read by as many as a half-million people. Rowson did not own the American copyright, so she made very little money from her novel’s best seller status. Though Charlotte Temple enjoyed enormous popularity throughout the nineteenth century, it was characterized by some critics as sentimental and melodramatic. Others defended the novel’s psychological insight and its important portrayal of standards of morality prevalent in eighteenth-century America. Rowson’s depiction of the Revolutionary War as the background of her romance has also been seen as significant in American literary history. In an effort to improve their financial situation, the Rowsons moved to Boston in 1796, where Susanna performed in the newly opened Federal Street Theater. In April they appeared in Americans in England; or, Lessons for Daughters, a play which Susanna had written, and she continued to write in the following years. In 1797 Susanna Rowson retired from acting to start the Young Ladies’ Academy of Boston, a boarding school for girls, which was soon enrolling the daughters of New England’s elite. The childless Rowson poured her energy into this new educational venture. Her school was unique in its demanding curriculum and commitment to providing young women with a serious and thorough education. The academy emphasized not only traditional female subjects such as music, drawing and domestic economy but also subjects usually taught only to men, like mathematics and science. Dissatisfied with traditional textbooks, Rowson compiled her own spellers, geographies and histories. As enrollment grew, the school moved to Medford (1800-1803), to Newton (1803-1807) then to Boston’s newly-developed neighborhood in the South End (1807-1811). Students came from throughout New England and as far away as South Carolina, Bermuda, Canada and Great Britain. While running the Academy, Susanna continued her diverse literary work – writing a novel, poetry, another work for the stage and more textbooks for the Academy. 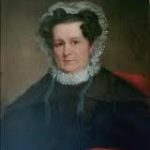 She also served as the first woman editor of The Boston Weekly Magazine from 1802-1805, and her essays for the New England Galaxy only increased her reputation in the Boston community. In 1809 Mr. Rowson, who was then a clerk in the custom house, purchased a house on Hollis Street in Boston, to which the Academy was moved in 1811. Susanna Rowson remained as headmistress until her retirement in 1822, leaving the Academy to a niece and an adopted daughter. When Susanna Rowson died in Boston on March 2, 1824 she was one of the most celebrated women in America. She was buried in the family vault of friend Gottlieb Graupner at St. Matthew’s Church, South Boston. When this church was demolished in 1866, her remains were moved to the Mount Hope Cemetery in Boston. In 1828, a sequel to Charlotte Temple, a novel entitled Charlotte’s Daughter: or, The Three Orphans was published posthumously. A monument was later erected for Susanna Rowson and brothers Robert and John Montresor Haswell in Forest Hills Cemetery in Boston’s Jamaica Plain neighborhood, where she is memorialized. Literary scholars today disagree about the nature and extent of Rowson’s feminist sympathies. In her writing she often depicts women as weak, helpless and in need of male protection, while also subtly protesting against women’s tenuous position in society. However, in her own life Susanna Rowson was strong, resourceful and independent – a woman who bravely took on the theretofore unwomanly professions of novelist, poet, actress, playwright, businesswoman and educator – largely creating her own opportunities in eighteenth-century America.